Taste Book: OUR OIL STASH - CREATE YOUR OWN! and we get it wherever we can. 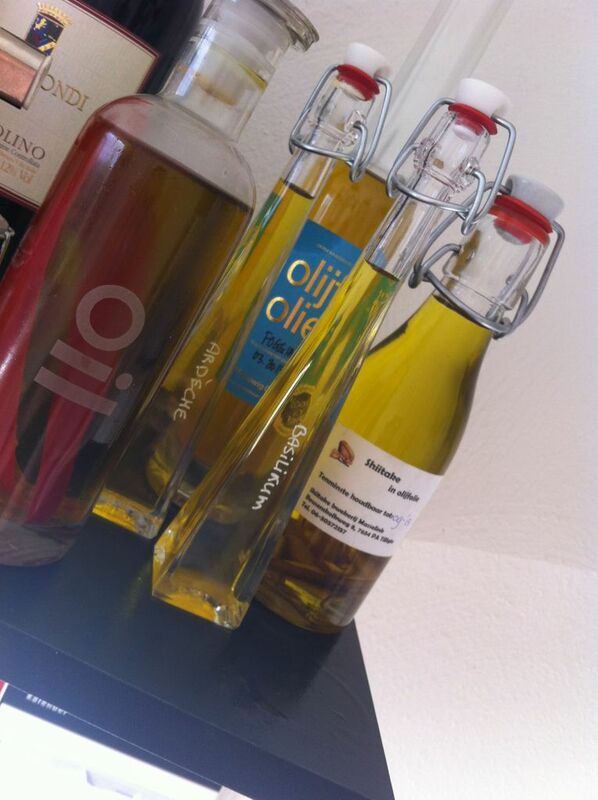 Wherever is oliveoil we like to go. And we also create our own! We bought some (cheap) bottles and filled them up with oil. After we putted in some fresh jalepeños, sesame seeds and garlic. Go crazy, because almost everything will do! We recently bought some lemongrass and basil, and that works perfect as well! Talking about this, these are more regular oils that we use for cooking or sprinkling over food. With bread we LOVE the olivoil we got in our March FoodWeLove box. It's from a store in Amsterdam; Meeuwig & Zn. We got oil from the very first olive press session, so very virgin! Do you use oliveoil a lot? And which one do you like the most?